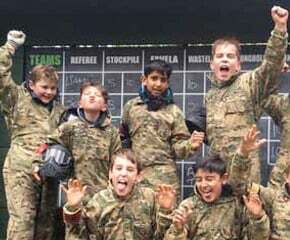 With over 20 years of Paintballing in London, Paintzone Paintball has been fully re-kitted by the former UK #1 Paintballing player, and totally refreshed as GO Paintball London! 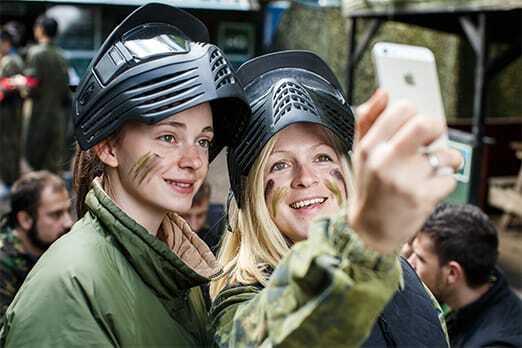 Setting standards for Paintballing in London and Surrey, GO Paintball London run the best Paintballing events for every occasion! 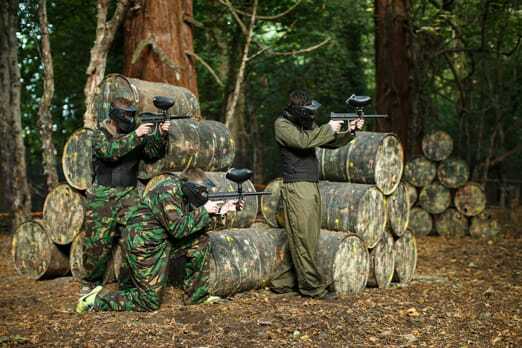 Our huge forest Paintball venue is the closest outdoor Paintballing venue to central London and conveniently located for Surrey and Kent. 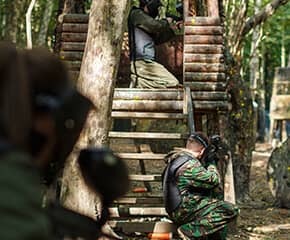 The whole venue has been fully themed and professionally designed to create the most exciting and immersive Paintballing game maps imaginable. What does this mean? 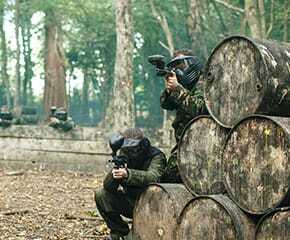 Epic and exciting Paintball games from start to finish! 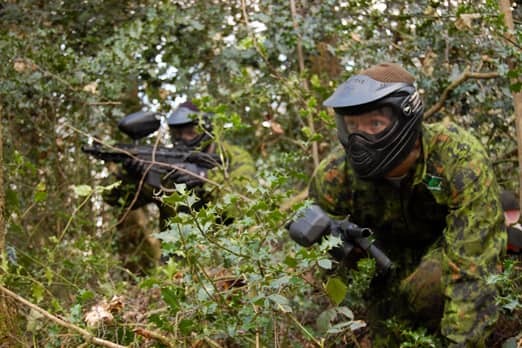 Your squad will be defending our huge fort stronghold, leading assaults to secure fuel stockpiles, infiltrating favela compounds, controlling towers, storming bunkers, and much, much more! 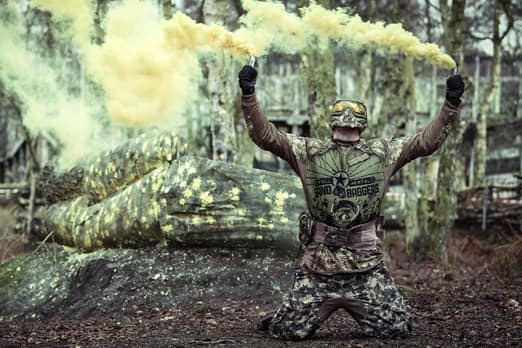 GO Paintball London are one of the only venues in the world to offer an additional 2 professional gun upgrade options for our customers. 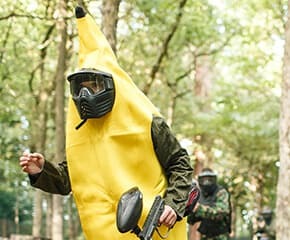 Just like FPS computer games such Call of Duty or Battlefield, players can pick a Paintballing weapon option that suits their style. 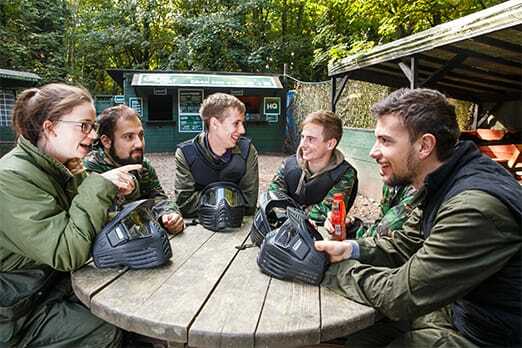 From our beastly Assault Rifle, to our sharp shooting Sniper Rifle – we have all the kit to make your Paintballing experience even more fun!